Another curious feature of the decision is how the majority seized on a reference in the Commission’s printed case to s 78 of FOIA- which states that nothing in the Act ‘is to be taken to limit the powers of a public authority to disclose information held by it’. Section 78 was mentioned by the Commission for the limited purpose of arguing that its refusal to disclose was not an ‘interference’ with Art 8. However, the majority used s 78 as a launch pad to discuss obiter extending the common law principles of open justice, as developed by R(Guardian Newspapers) v City of Westminster Magistrates’ Court  QB 618, where the Court of Appeal held that the magistrates acted unlawfully in refusing to disclose the skeleton arguments, witness statements and other documents. The Supreme Court also disagreed about the standard to be applied when assessing whether the principle of open justice was overridden by countervailing factors. Lord Mance stated [52-54]- that the Wednesbury standard had developed an issue-sensitive scale of intervention to enable the Courts to perform their constitutional function in an increasing polity and concluded that the proportionality test is relevant to judicial review outside the scope of Convention and EU law, apparently performing the burial rights to the Wednesday principle which Dyson LJ foreshadowed in [34-37] in R(ABCIFER v Secretary of State for Defence  QB 1397. Lord Carnwath was much more cautious , pointing out that the jurisprudential basis for this flexible approach remains uncertain and that it was, at best, uncertain whether proportionality had become part of domestic public law. 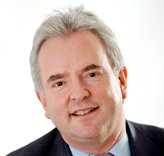 Richard Clayton QC practises from 4-5 Grays’ Inn Square and Kings Chambers, Birmingham and is an Associate Fellow at the Centre for Public Law, Cambridge University. He represented an intervener in Kennedy. (Suggested citation: R. Clayton, ‘The Curious Case of Kennedy v Charity Commission’ U.K. Const. L. Blog (18th April 2014) (available at: https://ukconstitutionallaw.org/)). This entry was posted on April 18, 2014 by Constitutional Law Group in Human rights, Judicial review and tagged access to information, Article 10 ECHR, Freedom of Information, proportionality in common law.